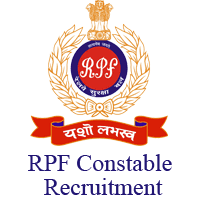 Railway Protection Force (RPF) has published Advertisement for below mentioned Posts 2018. Other details like age limit, educationalqualification, selection process, applicationfee and how to apply are given below. Recently Passport Size Photo with White / Light BackgroundName and Date of Taken Photo Must be Printed on PhotoThe Face Occupy at Least 50% of PhotoDo Not Need to Send Application Form to RRBInstruction For Refund: Candidates Who Pay Application Fee Rs. 500/- Are Refunded Rs. 400/- After Appeared the CBT Exam and Candidates Who Pay Fee Rs. 250/- Are Refunded Rs. 150/- After the Appeared the CBT Examination.